Today I make an appeal to any football fans who are upset at the NFL or their favorite NFL team and are looking for another outlet for their football rooting interest. Considering the NFL's recent national anthem snafu, it occurred to me that Army's national fan base should be an awful lot more vocal and a whole hell of a lot more visible than I've become accustomed to. Maybe most Army fans are out of my line of sight and far out of earshot, but I think the time has come for American football fans to unite under one banner for one common cause. I want you to join me in support and camaraderie as fans of Army football. If you have had it with NFL football for their dithering support of the United States national anthem. If you are disgusted with your favorite team for not living up to your expectations for one reason or another. If you are appalled at the price point of the NFL game day experience (borderline NSFW), tickets, bloodletting concessions and less than amazing amenities. If you feel you've been supporting a team that doesn't care about its fan base... then come on over and stand with Army football. This is an important time for Army. After leaving the Conference USA twelve years ago Army has had just two winning seasons since. The most recent was last season and head Coach Jeff Monken is looking to rejoin Army football with its winning tradition. By investing now you can still witness this team take its most anticipated and glorious strides toward success. There have been a lot of growing pains that fans of Army have gone through - and this Coach Monken's Army squad is an exciting and competitive football team. There is simply no greater brand in football than that of Army football. Army puts both the "football" and the "American" into American football. 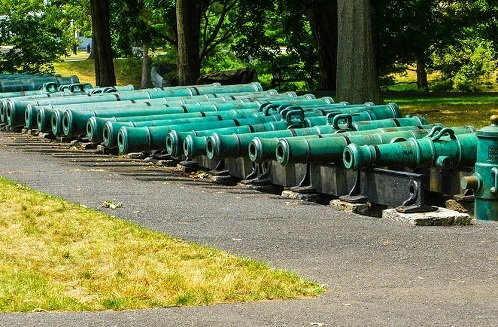 Match this with West Point's history rich campus and an awesome game day experience and you can see why a making the trip to West Point should be a goal for all football fans. If you can't make it to a game this weekend, how about a bucket-list road trip to West Point, NY on November 11 to watch Army play Duke on Veterans' Day? Can't make it to New York this fall? Well it's not by luck or by chance that all of Army's remaining games can be seen either nationally on the CBS family of networks or select away games via the Conference USA's cable affiliate BeIn sports network. 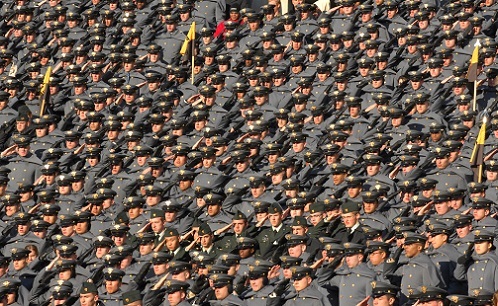 Army is a team with a rich football tradition and West Point itself is unmatched in academic reputation, but you need not be into the history or the study hours in order to hop on the Army football bandwagon. You don't have to endure any more professional football profiteering to get the late summer thrills and mid-December chills of old-school football. Army football, and for that matter, all service academy football can guarantee one thing: the men who play - and who have played - will stand with you, not only as patriotic Americans and American football fans, but as the only football-as-war metaphor that will ever matter. If you feel like your football heroes have turned their back on you - tune in this Saturday at 3:30 on CBS Sports Network when Army plays Texas Western. The Army football team will make you forget all about your thrown away Dallas Cowboys starter jacket, or your torched Steelers jersey collection. Maybe you already have a college team. To that, I dare say I couldn't agree more: Army football is in your blood, it's on your TV screen and it's practically calling you right now on your cell phone. I know you have your alma mater or your hometown team or the state school that your family has followed forever. Well, Army is America's team and they need your spirit and dedication in just the same sense that you need theirs.